There is a reason that you may feel as if you are falling apart after being up all night long, – it’s because you are! Kind of literally!….Hormones that get you through your daily activities, namely Cortisol – make your body breakdown and use its resources to go hunting, foraging or nesting (or nowadays commute, work and function in the modern world). All our body’s maintenance and repair work is suppressed all day long so we can keep on going, it isn’t until we are asleep that these processes kick in to repair the damage. So by the time we reach bedtime we actually are disintegrating! The Growth Hormone rules by night, nerve pathways that were closed by day now open up and the intense repair of inflammation commences. Did you know that if we were to be awake during this process it would actually feel painful?! The body’s nightly healing and restoration is vital for good health. The importance of good quality sleep is not underestimated in TCM. Sleep is seen as part of the natural rhythm of yin and yang in the body. When we sleep, yin is the dominant force in the body. While during the day, when we are active, yang dominates. Insomnia is a sign of a disruption to one’s natural rhythm of yin and yang. 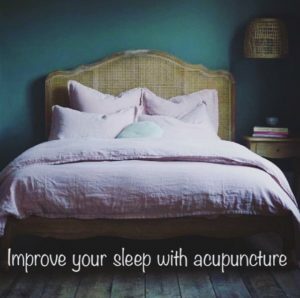 Acupuncture helps restore good quality sleep to those with disrupted sleep patterns by addressing a huge host of sleep issues. I thought I would share this article to explain the difference between having a massage and receiving Shiatsu therapy. With massage, you are mostly naked and in some cases oils are used. You may go in with a particular issue you wish treated out or you go merely to relax with the intention of switching off. With massage, a few questions may be asked depending on the therapist and then the treatment begins. From experience, most therapists follow a routine that addresses the physical body alone which for some is what they seek. 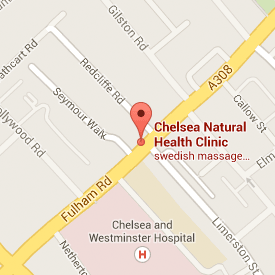 Massage and Shiatsu have their place most definitely. I’d like to share with you some of the differences between Shiatsu and Massage and share my passion for Shiatsu and its interesting history. During a Shiatsu session, you are traditionally fully clothed. 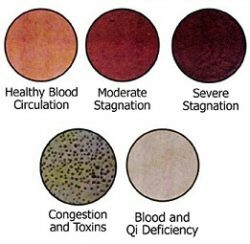 No oils are used and it’s used for particular physical symptoms your body is displaying and to tweak you energetically. Many of my clients come regularly as it boosts their focus in business, work and study. Firstly I will state that it is a complementary therapy that has existed for over 3,000 years. I spent years when studying attuning my hands/feelings to hear what is happening within the body. Touch and intuition is very important with Shiatsu. One can eventually become so sensitive that you can pick up pain/tightness and even deep seated wounds in the fascia of the person you are working with. I have received feedback such as “it feels like I have just had my whole body listened to” and “it’s like you are psychic and go straight to my pain without me saying a word”. For this reason alone, receiving this level of listening can be a very deep and healing experience. Being heard is one of the most important experiences we can have in our lives and I would be honoured to share that experience with you. An in-depth medical history is taken on the first consultation, which is firstly understood from a Western perspective and then treated from an Eastern viewpoint. Shiatsu like Acupuncture is based on TCM (Traditional Chinese Medicine) or OM (Oriental Medicine). 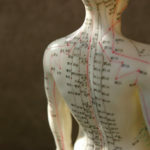 Like Acupuncture, acupoints are used and meridians assisted to get a smooth flow of Chi or Ki (life force/energy). Acupuncturists use needles and Shiatsu therapists use touch via pressing with fingers, hands or knees and deep listening to the acupoint and body until the quality changes before moving along with the treatment. I would say many may be sceptical at first but I have seen people’s minds change and open up to the wonders of Shiatsu, or it may really resonate and call you. I am so proud and honoured to have shared so many clients journeys throughout my career. Hopefully I have shared my passion for Shiatsu and you will feel inspired to share this beautiful journey with me. A warm smoothie? You read it right! 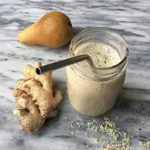 I’ve given a smoothie a winter makeover to soothe your soul and warm your immune system at the same time! 3-4 minutes until mixture is hot. If you have a regular blender, blend on high until mixture is smoothie. Transfer to a small pot and heat gently over medium-low heat until smoothie reaches it’s desired temperature. I am more than happy to share further nutritional advice during a session with me and it’s truly wonderful when mixed with a Shiatsu session. Here’s to us embracing how important nutrition can be for our strength and well being.